Our I29 Sports partner businesses, programs and schools get special offers and additional benefits of being a partner with us. 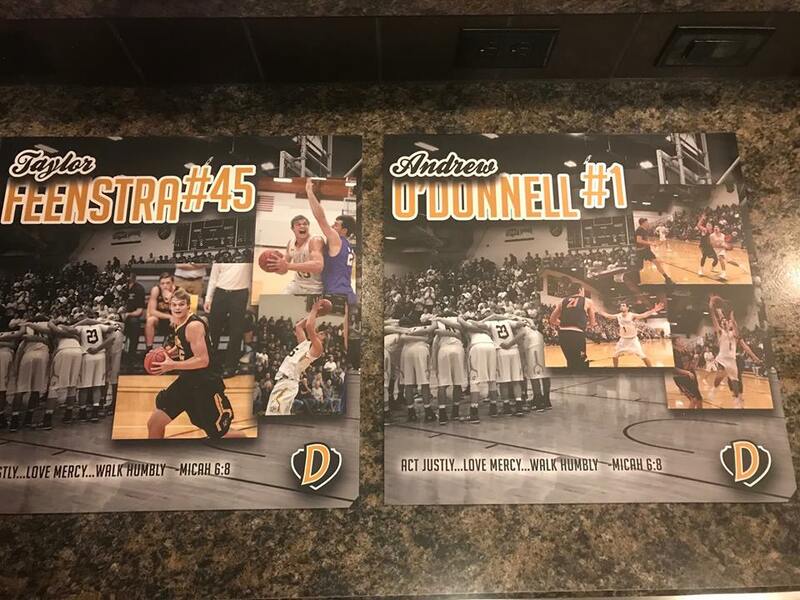 One such program is Dordt College Men's Basketball! 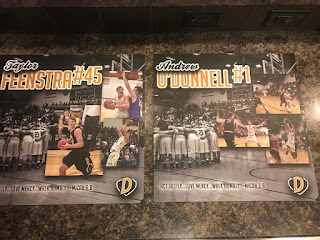 These end of the year senior awards look great and are available only to our program partners like Defender Basketball. We pride our company on making sure you are treated well and have the opportunity to provide special discounts and products like our custom poly metal signage plaques that the Defenders give away to each graduation senior! A great touch that is a lasting reminder of the years spent inside the program!